The slingshot was designed to launch for the largest airtime, not largest vertical displacement. The way it is designed, a high-elasticity band is strung between the arms and pulled back before release, with the crossbar in place to push against when drawing the launcher back. Supports are strategically placed between the crossbar and each of the arms (horizontally) to prevent the arms from bending inward, and between the arms and the base to prevent them from bending backward. 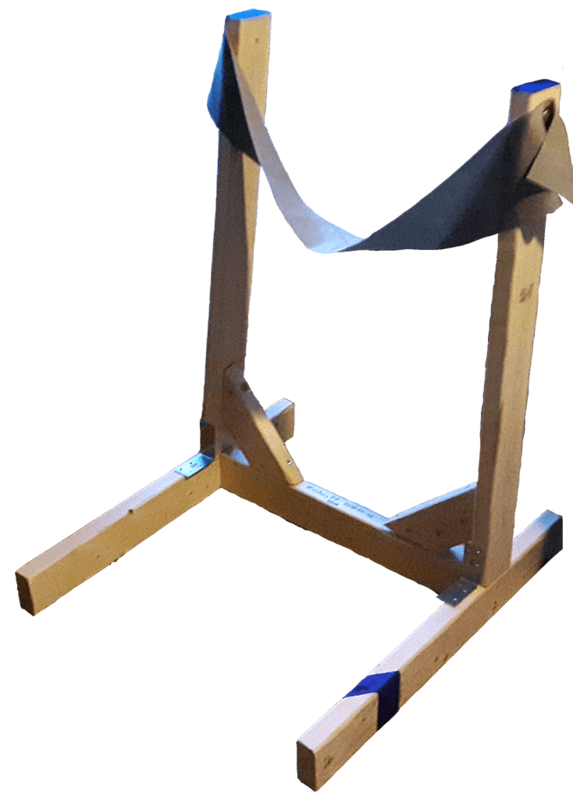 The construction of the launcher is very simple, while remaining structurally stable. The frame is comprised of a 2&apos; crossbar with two 2.5&apos; beams forming the base, two 2.8&apos; beams making up the arms, and some small pieces of wood for additional support. Besides the frame itself, a high-strength exercise band is anchored to each arm. All of the materials that make up the launcher cost about $30 - I wanted to keep the design simple and relatively low-cost. The band snapped because I tried to pull it further than it was tested with - ironically, I never pulled it further when testing specifically because I was afraid of snapping it. When designing the launcher, I designed it to achieve the maximum airtime because that was what was measured, but I forgot the overall goal was the highest vertical displacement. 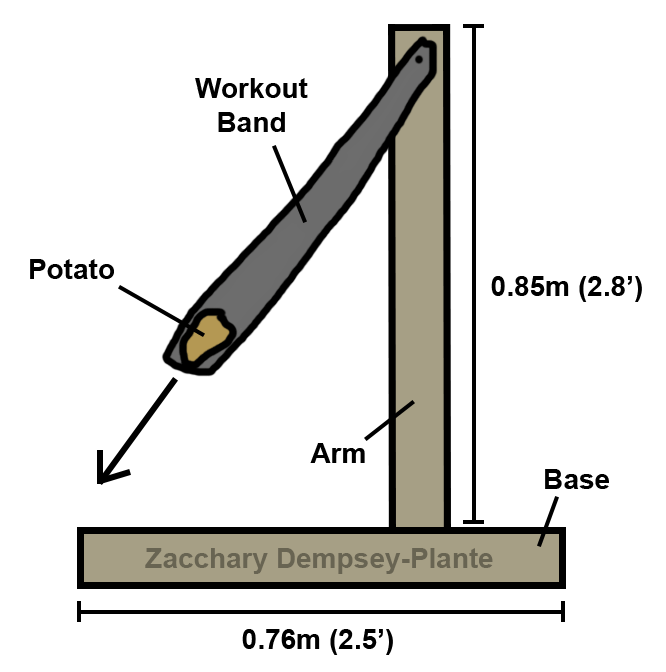 As a result, while the slingshot was still viable for launching potatoes, it did much better for horizontal displacement than vertical. All of the wood used for the launcher came from two 2x4 beams. Unfortunately most browsers do not support MathML as of yet, and as a result it would be problematic to display my calculations here. I have instead written them in a Google Doc format.